If you’re inclined to compare your car to a ball and chain, you’re not alone, as one in four drivers feels burdened by their car, new research reveals. A study of 2,000 American car owners found as many as a quarter feels they take a risk each time they hit the road as their vehicle is currently in need of repair or no longer runs well. The study asked people to reflect on the current state of their vehicle and tested people&apos;s knowledge on car basics. Results showed an alarming number of drivers are rolling the dice on vehicles in need of work- 68 percent of cars currently have at least one thing wrong with them, according to the data. 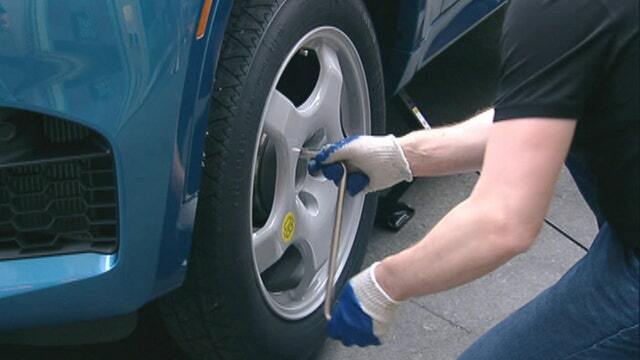 And with so many vehicles in need of some TLC, Americans could stand to do a bit of brushing up on how to take care of their cars a little better -36 percent of those studied said they don’t know the first thing about fixing a flat tire. The new survey, conducted by Cooper Tires, discovered that nearly half of American car owners aren’t confident they’d be able to change their car’s oil. A third aren’t confident they could even pick out the correct oil their car needs in the first place and a quarter wouldn&apos;t know how to jump start a car should the situation arise. Even using an air pressure gauge on a tire to check tire pressure can prove to be too advanced a task for nearly one in five Americans. Looking under the hood to examine a weird noise emitting from their engine isn’t going to help the 41 percent of Americans who were unable to actually identify a car’s engine when presented with an image. But looking under the hood after hearing a weird noise is still a more popular action than taking it to a mechanic. In fact, over half (54 percent) of Americans feel intimidated when dealing with a car mechanic. Four in ten Americans will avoid taking their car to the mechanic because they’re afraid their wallet won’t be able to handle all the work their car needs. And only 19 percent of Americans feel very confident they’re paying a fair price when they take their car to one. Jessica Egerton, Director of Marketing for Cooper Tires, said: “Although many Americans have a lack of confidence and knowledge when it comes to vehicle maintenance, it’s important to plan ahead and take initiative. As the times change, so too does what people choose to learn about cars. For instance, 83 percent of millennials are confident they could connect their phone to the car’s speakers to play music, compared to only 30 percent of those 66 and older. Conversely, 71 percent of the respondents 66 and older are confident they could drive a stick shift, compared to only 51 percent of respondents aged 18-35. And when it comes to basic car maintenance, those aged 66 and older appear to be much more on top of it than the rest of Americans. Only 31 percent of those aged 66 or older said their car was currently in need of an oil change, which was the lowest among the age groups surveyed. And just a measly 14 percent of those aged 66 or older said they needed new tires. Compare that to an average of 37 percent of those aged 36-49 , 40 percent of those aged 18-35 and 25 percent of those aged 50-59. Jessica Egerton added: “In addition to overall vehicle maintenance, it’s important that today’s drivers understand even simple ways to keep their cars in good, and safe, condition.